What’s your perfect Windows Phone? Microsoft is set to announce at least one, and possibly two new phones this week, a successor to the most popular Windows Phone ever made, the Lumia 520, and if rumors are correct, a successor to the 1320, the 6″ behemoth. In addition, Nokia’s last Windows Phone, the 830, has just gone on sale in the US along with the Windows Phone powered HTC One M8, and who knows, maybe there’s another last minute surprise in the works. While its good news that there are at least some new phones ready for holiday purchase, none of these phones quite meets the criteria for a true “flagship” Windows Phone, at least in our opinion. Try as we might, a 6″ phone is just too dang big, and although the HTC One M8 is intriguing, the camera is lacking compared to the best Nokia Lumia cameras. So what makes the “perfect” Windows Phone? We would start with a nice pocketable yet large enough to read form factor. 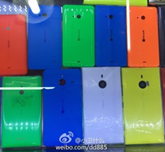 Our Lumia 925 could be just a bit bigger, maybe in the 4.7 to 5″ range instead of 4.5″, but no bigger. Our perfect phone needs to fit in a jeans pocket, be hold-able/click-able/type-able with one hand, and not make you look like a dork when holding it up to your head for making a phone call or listening to Cortana in a loud space. Of course it should have the latest specs: quad-core, hi-res, a great camera, and plenty of storage. Ideally, it should have a mini-SD slot, but with 32GB+ that becomes optional, although still nice to have. We’ve given up on the idea of a replaceable battery, but remember those good ol’ days when you could just carry around an extra battery and not worry about running out of juice right at the wrong time? Still, our perfect phone needs to have great battery life. We loved our Lumia 920 until the flash and the microphone stopped working, but it was heavy as heck. Our new perfect phone needs to be light and airy, and easy to hold. Our current phone, a Nokia Lumia 925, fits the bill nicely. We don’t mind a bit of heft, a good solid feel, but no bricks, please. No matter what, our next Windows Phone will be running “Windows Phone 10″ and all the goodness to come from a Spartan browser, Cortana v.Next, and a range of the latest Windows 10-ish apps, so that’s a given, but we’d love to see some real progress made in Windows Phone apps, too. New apps and the “next big thing” should come from Windows Phone, if not first, then right alongside Apple and Android. This is all not to say that we’re not tempted by the phones coming out for the holidays, but as our 2 year contract from the day-one purchase of the Nokia Lumia 920 is set to expire next week, we’re not about to get tied into a new contract for a not-quite-good-enough phone, especially as the Lumia 925 is, for the most part, good enough for now. So what are you doing? Will you be buying a new Windows Phone this holiday season, or will you wait to see what the new year (and MWC, and then the Windows 10 release) brings? How long will you wait for your perfect phone, and what does “perfect” mean to you? Next post: Knock, knock, is this thing on?